Two board members of Impress, which will rule on a Canary article about Laura Kuenssberg, have previously shared tweets questioning the impartiality of the BBC political editor. Maire Messenger Davies and Emma Jones also help set the standards by which the alternative press watchdog regulates its journalists as members of the Impress code committee. Chairman of the Impress board Walter Merricks picks a minimum of three members of the eight-strong board to adjudicate on each complaint. Impress said both Davies and Jones had been recused from handling the Canary complaint. The pair retweeted posts, originally made by other users, criticising Kuenssberg, who has been the target of a campaign of abuse by online trolls claiming she is biased against Labour leader Jeremy Corbyn. Davies, who tweets under @Mairemd, is a professor of media studies at Ulster University. Jones, who tweets under @MsEmma_Jones, is a writer for The New European who has previously worked on national newspapers, including as former deputy editor of the Sun’s Bizarre showbiz column. The pair shared the posts in December last year and January this year. 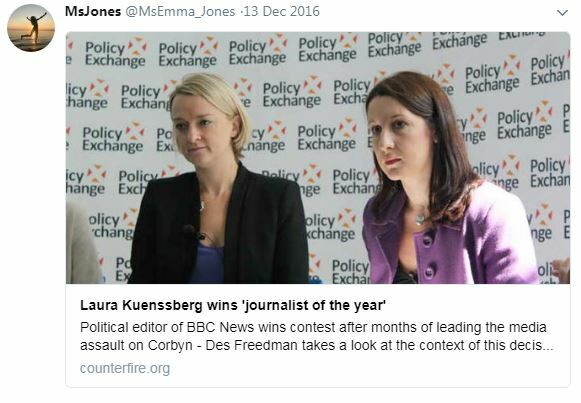 On 13 December, 2016, Jones shared an article from self-named “revolutionary socialist news and theory website” Counterfire, also in response to Kuenssberg’s win at the BJAs. “I do believe that Ms Kuenssberg does deserve an award given her unflinching loyalty to the project to diminish Jeremy Corbyn in the eyes of her viewers,” said author Des Freedman, a professor of media and communications at Goldsmiths Univeristy. 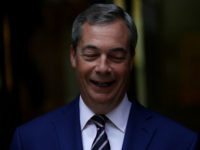 He claimed Kuenssberg had been “heavily criticised” for “almost single-handedly” trying to make local elections last year “into a referendum on Corbyn’s leadership”. 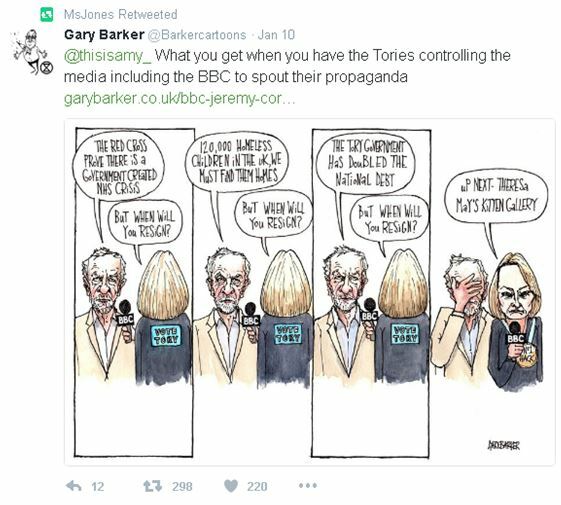 On 11 January this year, Jones retweeted a cartoon of Kuenssberg wearing a “Vote Tory” sign on her back while interviewing Jeremy Corbyn alongside the line: “What you get when you have the Tories controlling the media including the BBC to spout their propaganda”. Although most of the retweets have been deleted, some still remain visible online. Davies, whose account is now locked and has 795 followers, includes a line in her bio that says “tweets my own, retweets not endorsements”. Jones, who has 426 followers, says her account is “private” in her bio, although her tweets are publicly visible. Under the Impress register of interests board members are asked to identify “any public statements made on social media… that might reasonably be viewed by an independent bystander as compromising Impress’s fairness and impartiality as a regulator; or compromising Impress’s openness to all news publishers on fair, reasonable and non-discriminatory terms”. 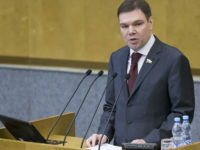 For Jones, a member of the Liberal Democrats, it states that she has given evidence as a witness in civil litigation over phone-hacking relating to her experience in national newspapers. An Impress spokesperson said: “In January 2017 Impress began a review of the historic use of social media by members of the Board who oversee the strategic direction and management of the organisation. “The items to which Press Gazette has drawn attention preceded that review, and were considered as part of the review exercise. “There are well-known procedures in place at Impress that allow directors who have commented upon a topic, or who have an interest, to recuse themselves from decisions. Impress regulates about 76 news publishers. The majority of newspapers and magazines are regulated by the Independent Press Standards Organisation. The BBC has been regulated by Ofcom since April. Complaints were previously handled by the BBC Trust. Noting the party affiliations of the two “recused”, can anyone advise the breakdown of affiliation of all those “approved” to be on the panels. I feel sure that the Conservatives and UKIP will be totally proportionately represented in these times of pc quotas. Equally interesting might be the newspaper of choice for those same “approved”. A cynic might expect the minor circulation Guardian and Independent to be somewhat over represented. Ditto occupations. The same cynic might expect a dearth of those in the wealth creating sectors against those in the public sector and quangocracy. 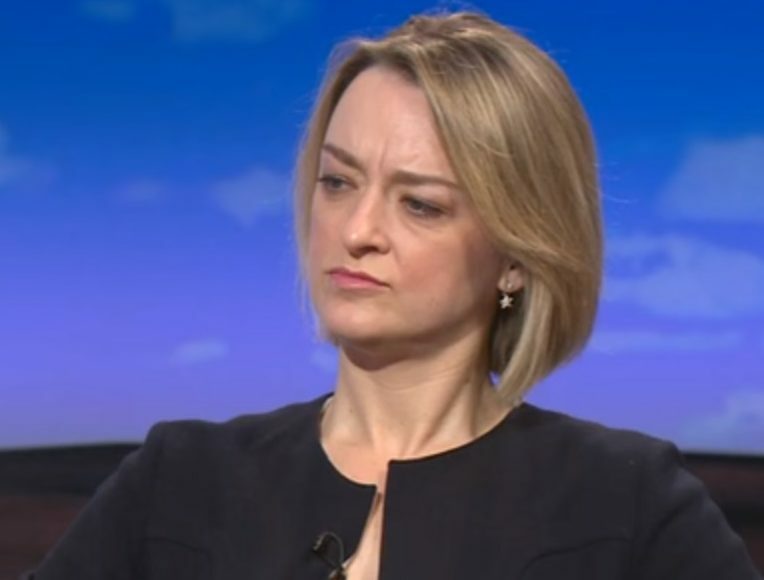 Kuenssberg is biased and does lead viewers towards a particular perspective on news stories. She was found to have been untruthful about Corbyn by the BBC Trust. But two wrongs do not make a right, so I am glad that Impress is ensuring that its own inquiry into The Canary is above board. However much I may disagree with Kuenssberg’s tabloid style of journalism, and I really do, I was appalled by the abuse and threats directed at her. Male journalists have been just as obviously biased, but without the same backlash. Like the vitriol aimed at women MPs, it’s misogyny disguised as justified anger.